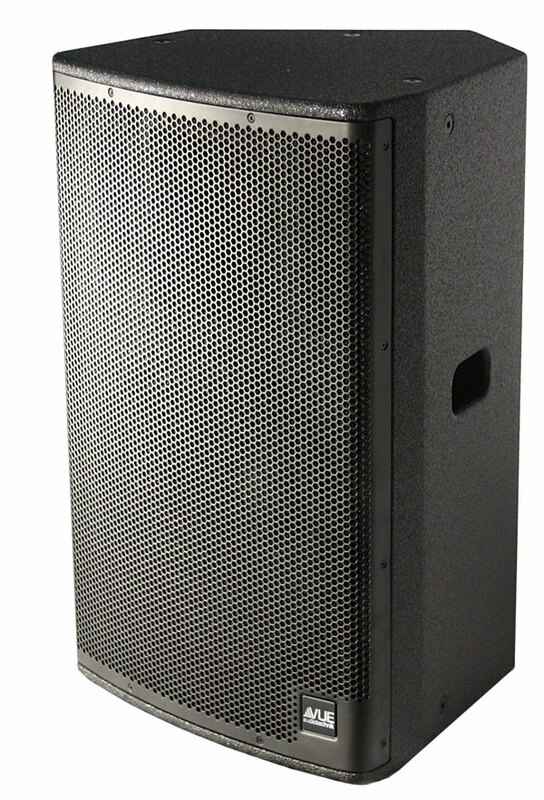 The a-15 full-range system begins with a precision-engineered, neodymium compression driver with a large, 4-inch voice coil and 1.4-inch exit. The compression driver is mated to an equally powerful, neodymium LF cone driver that’s also equipped with a 4-inch voice coil. The larger voice coils in both drivers increases overall power handling while decreasing power compression and maximizing clean output. The compression driver is coupled to a 70 x 55 degree horn that can be rotated for ideal dispersion in both vertical and horizontal orientations. 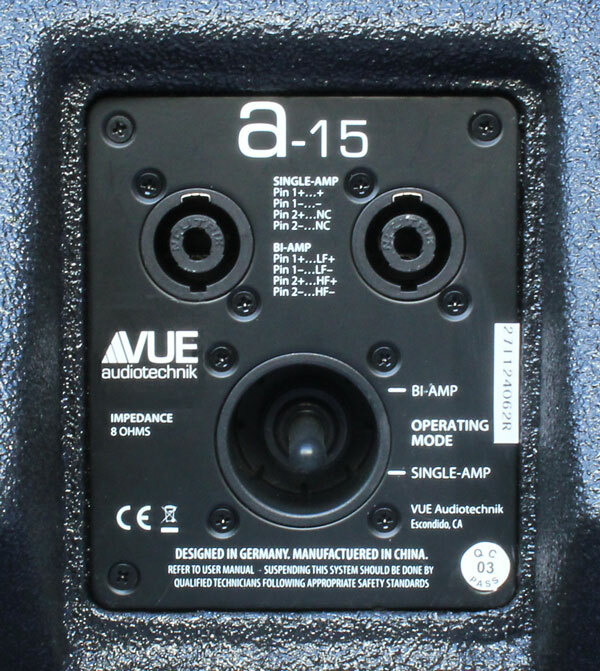 A high grade crossover network is carefully tailored for the a-15’s unique driver and cabinet combination. A high current switch located on the rear panel allows quick configuration between passive (single amped) or bi-amped modes. Balancing performance with versatility, the a-15 features a five-sided enclosure for easy use in either vertical or horizontal orientations. Handles and an integrated pole mount system make portable use on stands or atop subwoofers a breeze, while integrated hanging points provide flexible flying options. 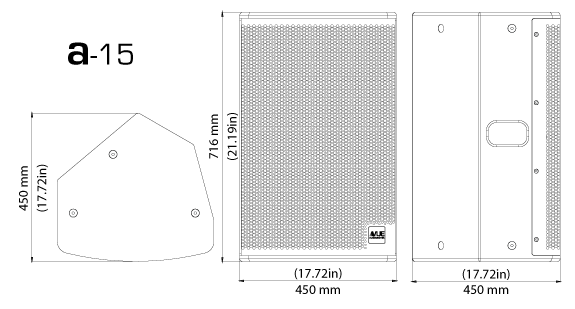 And thanks to their consistent and predictable coverage, the a-12 works equally well alone or as part of larger, multi-cabinet arrays in more sophisticated applications. Arrays can be horizontal or stacked. 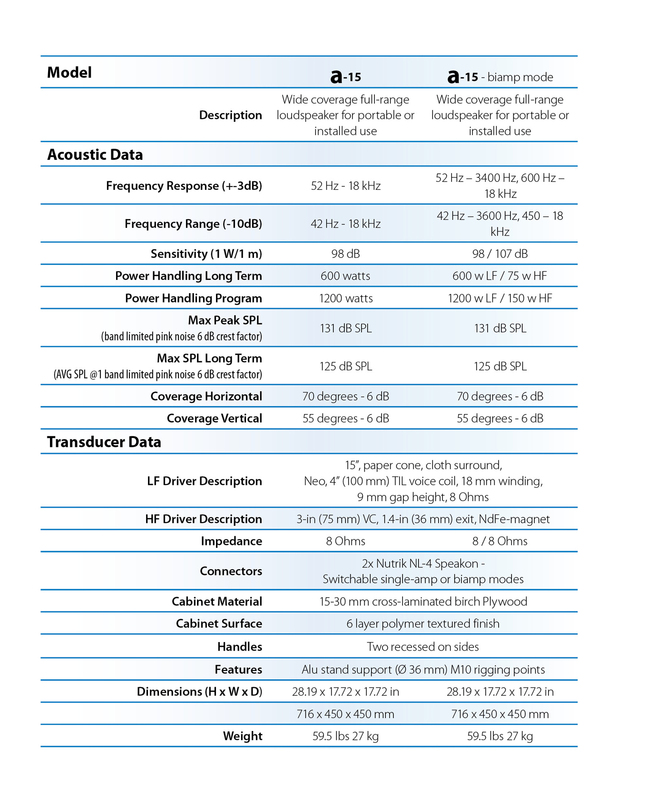 All a-Class cabinets are manufactured to strict ISO compliances to ensure exceptional sonic performance and years of reliable service. Ultra-rigid, multi-ply, cross-grain laminated birch construction and extensive interior bracing ensure absolute rigidity. All wood surfaces are protected by a rugged, waterproof polyurethane textured finish, while the cabinet front features a protective steel grill with a water resistant powder coating.